In 2018, 50 years have passed since Stortinget (the Norwegian National Assembly) enacted the establishment of a university in the northern region of Norway.  Half a century later, UiT the Arctic University of Norway has firmly established its stature as a multidisciplinary university. In doing so, it has become the driving force of the north for the advancement of education and knowledge. While 2018 provides a milestone opportunity for us to celebrate these many achievements, it also allows us to demonstrate the important role, and significant contributions, that UiT has accomplished in the fields of research, education, innovation and knowledge dissemination. 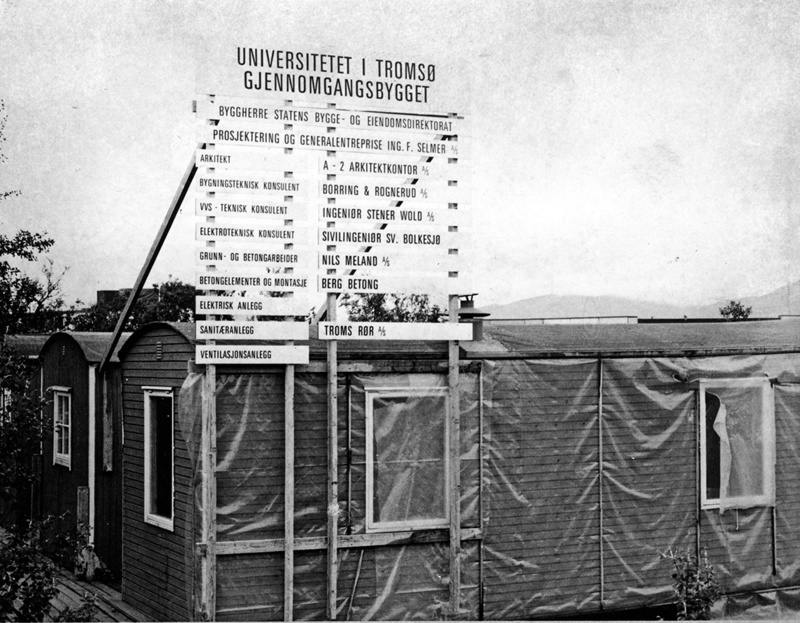 When the University of Tromsø was established in 1968, it was not the first institution that offered higher education in the region. As early as 1826, only 15 years after the University of Oslo was established, Stortinget (the Norwegian National Assembly) approved the establishment of a Teacher’s College in Northern Norway. The main purpose was to enlighten the northern population, especially the Sami, to what was then considered “proper faith in God”. Trondernes Teacher’s College was the precursor of Tromsø Teacher’s College. It was run in Trondernes, outside of Harstad from 1826-1849, before it moved to Tromsø. 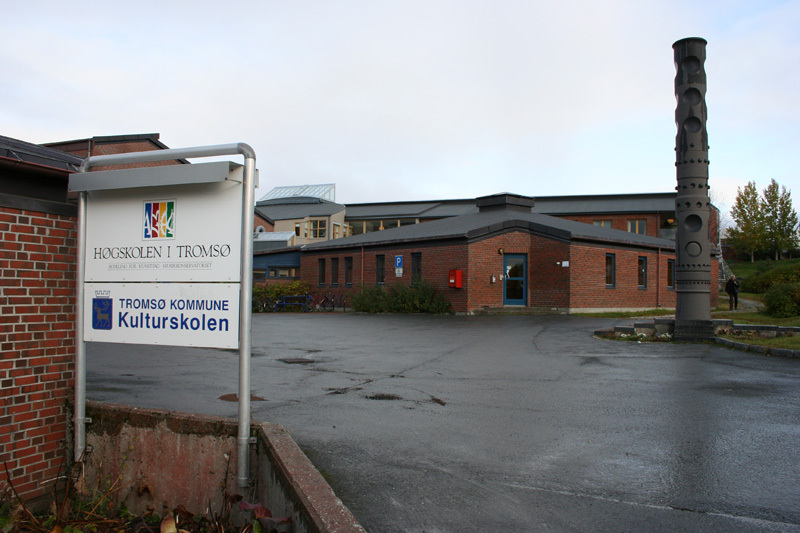 In 1994 it became the Teacher’s Training Program at Tromsø College. Tromsø College merged with the University of Tromsø in 2009. Establishing Trondernes Teacher’s College was significant because it was Norway’s first public teacher’s training program that specifically aimed to improve the level of education and society in Northern Norway. Trondernes Teacher’s College was the first seed that helped the growth of the University of Tromsø. Since Trondernes Teacher’s College educated the northern population, the institution quickly obtained a significant position in the region. Some people even called the college an intellectual powerhouse. It was not uncommon for former students to assume central positions in the local government and many became elected officials, etc. During the 19th century, nearly 70 graduates became Mayors in the Northern Norwegian municipalities. The Teacher’s College was located in the Skippergata area in Tromø for a long period of time. At the end of the 19th century, it was the most modern in Norway with its own gymnasium, vegetable garden, and a voluntary teaching program. In 2009, the College merged with the University, and the pedagogical studies at UiT became part of the Teacher’s Training Program. Together these constitute the Institute for Teacher’s Training and Pedagogy. Since 2013 it has also included the Teacher’s Training Program in Alta. Tromsø Museum, the University Museum, was established in 1872 and is Northern Norway’s oldest scientific institution. In 1976, after 100 years of being an independent institution, it merged with the University of Tromsø. The museum’s main purpose is research and research communication, development and maintenance of research collections, dissemination, management, and teaching. Today, the University Museum has four sections; Tromsø Museum, the Polar Museum, MS Polstjerna and Tromsø Arctic-Alpine Botanic Garden. The Museum has two scientific sections: a section for natural science and a section for cultural science. Altogether the museum possesses more than two million objects and has undertaken more than 100 years of research in its region, and other northern areas. The museum’s permanent exhibitions include geology and zoology, two Sami exhibitions, an archaeological exhibition, a church art exhibition and two arctic history exhibitions. In addition, the museum produces temporary exhibitions and hosts traveling exhibitions. Hans A. Meyer is considered the founding father of UiT, the Arctic University of Norway. He launched the proposal of a university in an article in the local newspaper Tidens Tegn, as early as 1918. Today, this article is framed and hangs in UiT-headmaster Anne Husebekk’s office. Photo: Faksimilie Tidens Tegn/Jørn Berger-Nyvoll. 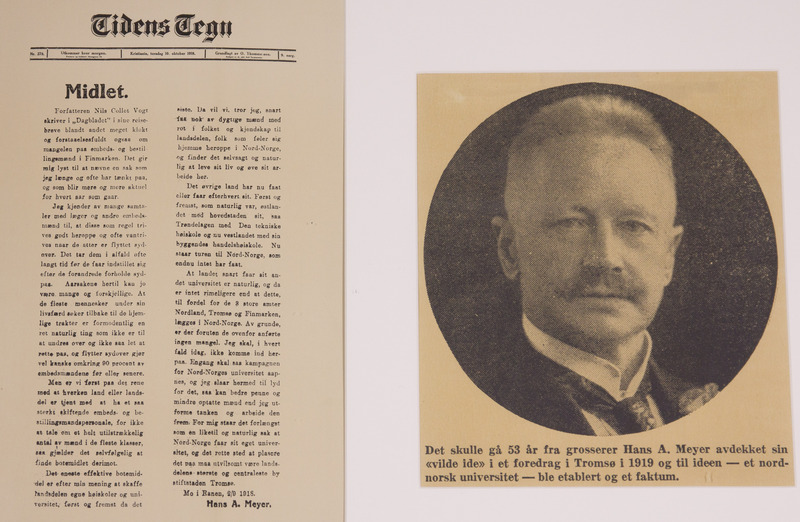 As an influential merchant from Mo I Rana, Hans A. Meyer wrote in the newspaper Tidens Tegn that the only thing that could salvage Northern Norway’s lack of civil servants and public officials was a university in Tromsø. At that time there were no educational institutions at the university level in the north. As a result, there were few recruitments to higher positions and there was high employment turnover. With the University of Oslo, the College of Technology in Trondheim, and the College of Business under construction in Bergen, Meyer thought that the time had come for Northern Norway, “…that has nothing yet received”. With a college or, even better, a university Meyer believed that the region would soon “get a sufficient amount of skilled men, with roots in the people and knowledge of the region. People, who feel a sense of belonging up here in the north, who find it obvious to live their lives and work here”. Meyer believed that Tromsø was the best alternative for a university city, because of its size and because there already existed scientific activities there. The other cities in Northern Norway supported this view. The following day, the national newspaper Aftenposten supported the proposal. Local citizens of Northern Norway started working towards an institution of higher education with Tromsø citizen Conrad Holmboe donating 100 000 NOK towards the proposed university project. 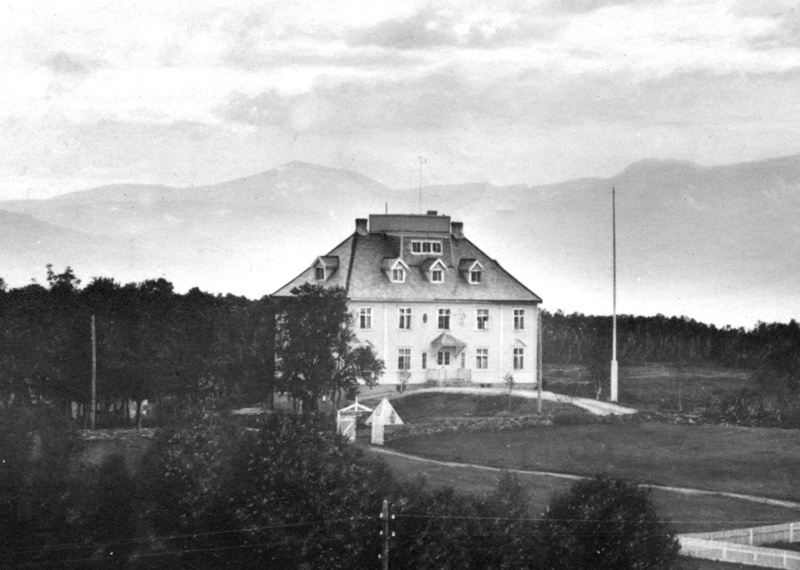 The Institute for Geophysics was located near the Prestvannet area of Tromsø, in the same area in which the Institute of Meteorology lies today. The photo is taken from a postcard from the 1930s. The Institute for Geophysics was established in Tromsø, in 1919, as an affiliation to the Centre for Northern Lights and Weather Research in Halddetoppen, Alta. The City Council of Tromsø donated property to the institute because they wanted to broaden the scientific research in Tromsø. The institute also received funding from the National Government. The institute was called “Geofysen” in the local tongue. Together with other research institutes, such as Tromsø Museum and Holt Research Farm, the Institute for Geophysics’ goal was to make Tromsø a city of science. Thus, these institutions played an important role in the future establishment of the University of Tromsø. While developing “Geofysen” research related to weather forecasting was prioritized. They also performed research on northern lights. However, they lacked sufficient resources and infrastructure to properly pursue this line of research, so in 1928-1930 a separate northern lights observatory was built near Prestvannet, in Tromsø. Again, the City Council donated property to the cause. And with additional funding from the National Government and the Rockefeller Foundation, they were able to seriously expand their research on the northern lights. This new observatory became a department under the Norwegian Institute for Physical Cosmology in Oslo. The Institute for Geophysics was reorganized when the northern lights observatory was constructed and “Geofysen” became the Centre for Northern Norwegian Weather Forecast. A committee was established to coordinate the research done by the Centre for Northern Norwegian Weather Forecast, the Northern Lights Observatory and Tromsø Museum. This committee was officially named the Committee for Scientific Institutions in Tromsø, however, it was known locally as “the Comet”. The committee was also responsible for the management of funding received by the Institute for Geophysics. At that time a new university seemed politically and financially implausible and was not given serious consideration. However, the members of “the Comet” did allow themselves to entertain the thought of an arctic institution. “The Comet” had limited influence, therefore, its members were primarily limited to conducting internal meetings and granting scholarships. In the 1930s, the dream of a university in Tromsø languished and seemed further away than ever. As the war ended, the dream of a university could blossom once again. 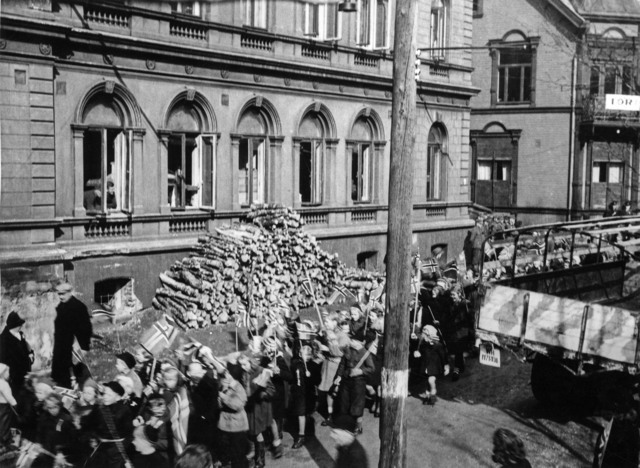 This is Liberation Day May 8th, 1945. The people of Tromsø celebrated the freedom with children’s parades and Norwegian flags. Photo: S. Bergstrøm. Tromsø Museum – the University Museum. As the Second World War ended, the hope for a university and more scientific activity in Northern Norway was strengthened. The idea of a university in Tromsø was even discussed nationally. Some believed that establishing a scientific environment in Tromsø would be a natural part of the restoration plan after the war. The local Labour Party placed the university on their agenda and Northern Norwegian members of Stortinget (the Norwegian National Assembly) raised the case in Oslo. However, these initiatives did not achieve any immediate results because the government’s priority was the general restoration of the country. In his speech on the Norwegian national day, May 17th, 1946, Government Minister Kaare Fostervold expressed that Tromsø wanted its own university and existing institutions in Tromsø received further attention. Tromsø Museum and the Northern Lights Observatory both received more funding, and Tromsø got its own archive office. The government also wanted to move the Norwegian Centre for Svalbard and Arctic Ocean Research from Oslo to Tromsø, for access to a more polar environment. It was renamed the Norwegian Polar Institute in 1948, but it was not actually relocated until 50 years later. After World War II ended more young people decided to complete their high school education with the aim of subsequently pursuing a higher level of education. This, combined with the post-war baby boom, lead to an increased demand for access to higher education. Towards the end of the 1950’s fundraising was set up to increase the capital in the Northern Norway’s University Fund. The increased demand for a university in Tromsø also coincided with a change of perspective on higher education nationally. Ingvald Jaklin, chief editor of Nordlys and Member of Parliament, expressed in Stortinget on June 9th, 1958, that it was time to raise “the old question” of a university in Tromsø. The Minister of Education did not respond to the question. However, another Member of Parliament, Rakel Seweriin, believed that the idea had to be dismissed immediately. Not only did she think the grounds insufficient, Seweriin thought that Northern Norwegian youth “…could only benefit from traveling south and meeting young people from other regions of the country”. Stortinget discussed the challenges on several occasions and in 1960 they established a committee to consider the university and college sector in general. The committee was led by Per Kleppe, from the Department of Finance, and continued their efforts until 1961. The Kleppe-Committee changed the perspective on higher education in Norway; from being for the select few to being an alternative for the greater public good. While the committee did not suggest a university in Tromsø, the possibilities were greater than ever. In 1961, The Kleppe committee presented their recommendations for a strong expansion in the sector for higher education. In 1962, Stortinget (The Norwegian National Assembly) submitted a report to the Government that contained one significant difference compared to the committee’s initial recommendations. The Kleppe committee suggested that the expansion should pertain exclusively to the pre-existing institutions. They thought that the research and courses at Tromsø Museum should expand, however, this needed to be under the subjugation of the new University of Trondheim. The Government, on the other hand, believed it “natural that northern Norway in time should have their own independent university-level institution”. This was a crucial turning point, and when Stortinget debated the issue in 1963 there was unanimous support for the Government’s position. The Government immediately established a committee, led by former headmaster at the University of Oslo Johan T. Ruud, to assess the possibility and scope of a university in Tromsø. The Ruud committee submitted its recommendations in 1965. The Ruud committee was commissioned to assess the need for a university-level institution in Tromsø and what subject matters would be suitable to offer students. The committee presented five rationales for establishing a university in the north: It would offer the region a more competent workforce; It would offer young people in Northern Norway easier access to higher education; It would enhance the social and economic development of the region; It would help the country admit a larger number of students on a national level; And the university would be a natural facilitator for certain types of research fields, such as physical cosmology and Sami culture and language. A member of the committee, professor Torstein Bertelsen, from Harstad, conducted a study that showed a strong correlation between a medical doctor’s place of birth, place of education and place of work. He concluded that the only effective way to ensure more medical doctors in Northern Norway was to have more northerners study medicine in their own region. Based on this conclusion, medical studies became a central aspect of the plan for Tromsø. However, that conclusion created significant resistance from both the Faculty of Medicine in Oslo and the powerful Minister of Health, Karl Evang who became outspoken critics of establishing a new faculty of medicine in Tromsø. Tromsø Museum, the University Museum, was established in 1872 and is Northern Norway’s oldest scientific institution. The first university-level lectures in Tromsø were given here in 1965. Photo: Dagbladet/Norwegian Museum of Cultural History. In collaboration with the University of Oslo, introductory courses on philosophy were given in Tromsø as early as 1965. These were the city’s first university-level courses offered and the popularity of these introductory courses was a clear indication that the region was ready for its own university. The first lecture covered the Greek philosopher Plato. It was held at Tromsø Museum and attracted an audience of fifty people. The following year, 66 students were admitted to elementary courses in collaboration with Tromsø Teacher’s College. 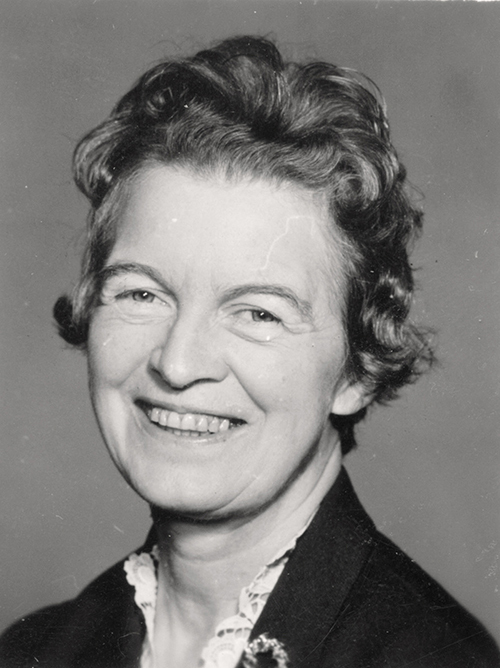 The Ruud committee presented its recommendations regarding a university in 1965, with references to Meyer’s proposal in 1918 and the post-war change of perspective on higher education. The members of Stortinget (the Norwegian National Assembly) unanimously voted in favor of the bill anticipating disputes within the university communities, especially the one in Oslo. In the 60’s the Minister of Health, Karl Evang was a strong opponent of the creation of a university in Tromsø. Here, he is photographed at Tromsø Airport, on his way to giving a lecture at the university. Photo: Kjell Fjørtoft. Tromsø Museum, the University Museum. The concept of a university in Tromsø provoked resistance from the very beginning. Many people believed that stronger competition for funding would be a death sentence for Norwegian science. It was also a commonly shared view that a university in Tromsø would never be able to hold a respectable academic standard, and that the harsh climate would make it difficult to recruit scientists. However, it was not until the medical studies were seriously discussed that the opposition intensified. Placing a university in Tromsø was seen as provincial policy and development work without any objective or factual basis. The resistance among academics was great and in addition, the Minister of Health, Karl Evang, threw himself into the debate together with several hospital doctors from around the country. They believed that a possible third faculty should be placed in Trondheim. Nevertheless, the conservative coalition government, headed by Per Borten, defied the opposition and before Christmas 1996, the Minister of Church Affairs and Education, Kjell Bondevik from the Christian Democratic Party, said that the Government would prioritize Tromsø. Apart from the lack of medical practitioners in Tromsø, the Government argued that a Faculty of Medicine would be a beneficial starting point when establishing the university. The Tromsø Student Society was established by academics living in Tromsø. Its purpose was to shed light on the university and discuss topics of local interest, such as the university’s location, the subject matters it would offer and how it would influence the city. The Student Society also engaged in other local projects. The Northern Norwegian Board for Cultural Affairs established its own University Committee. Together with Tromsø’s already existing institutions they applied pressure locally for a swift establishment of a university. People in Tromsø believed it would be a long process to establish a university and on many occasions, national politicians and committees felt they had to convince influential citizens in Tromsø to support the establishment of the university in near future. On March 28th, 1968, Stortinget (The Norwegian National Assembly) approved the establishment of the University of Tromsø, and thus the long struggle had finally ended. The university was considered an important accomplishment for regional and educational policy. The university would be an improvement to the region and, in time, it would find its place next to the other universities and scientific colleges. It was important for Stortinget that the new university would match the established academic standards of existing institutions. It should not become the “Northern Norwegian University”, but rather the country’s fourth university which happened to be built in Northern Norway. The Members stressed that the university needed to be recognized as an independent and worthy institution. It had to be given the opportunity to develop important fields of research and to assert itself in the competition for funds and students. The Northern Lights Observatory became one of the cornerstones of the university and was incorporated into the new university structure. It was a tremendous task to establish the university from practically nothing and, from 1968, it would still be another four years before the first students were admitted. Although Tromsø had scientific institutions to build upon, none of these had the scientific leverage of an established university. They had to recruit researchers and students, secure necessary facilities and infrastructure and purchase books and associated materials. In addition, they had to establish a viable financial and management structure. 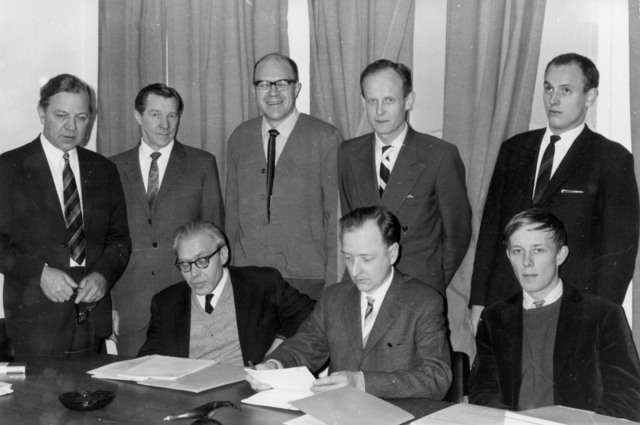 The Interim board in Tromsø was appointed January 17th, 1969. Standing from the left: Professor Harald Skjervold, Museum Director Ørnulv Vorren, Dr. Olav Holt, Chairman and Professor Peter F. Hjort, B.A. graduate Harald Mehud. Seated from the left: Professor Knut Dahl Jacobsen, Professor Anders Omholdt and civil engineer Lasse Efskind. Photo: Karl A. Roman Jr. Tromsø Museum, the University Museum. An interim board was appointed to lead the process towards the creation of a university. Medical Doctor Peter F. Hjort, from Oslo, was asked to be the board’s chairman and traveled to Tromsø to assess the job he had been offered. After visiting the hospital, the scientific institutions, the local authorities and the governor, Hjort had made his conclusion that the task to establish a university was seriously underrated. He was one of few doctors who had supported a university and a medical faculty in Tromsø prior to its establishment. In a letter to the Department of Church Affairs and Education, Hjort detailed his terms for accepting the job as chairman of the interim board and his concerns regarding the challenges ahead. First and foremost, the doctor from Oslo stated that the university would be much more expensive and demanding to build than first anticipated. The university’s medical clinic alone would cost ten times the prior estimates for the medical faculty. Furthermore, he believed that in the future the university and the university hospital would have to move out of the city center. This would be very costly. Moreover, the university would need new buildings, cultural facilities and attractive salary levels sufficient to attract facility members and support staff. In addition to these daunting challenges, the board would have to lay the groundwork for developing an attractive research community. Hjort was summoned to the Prime Minister’s office in January 1969, with both the Minister of Social Affairs and the Minister of Finance present. They made it clear that the Government would support the plans and increased costs as drafted by Hjort. The interim board prepared a preliminary plan for the construction of the university. They believed they needed to achieve a steady rate of progress in order to not lose funding and political support. Therefore, the enterprise had to start immediately with temporary premises. In 1970, Hjort’s preliminary plan was approved and the process of building the university could begin with the Government’s full support. Hjort was chairman of the interim board until 1972 when he was elected headmaster at the university. He held this position until 1973 when he resigned because he lacked support from the students. It was never obvious that the university should be in Breivika. There were fierce debates from 1967-1970 with regards to its location. It was discussed whether the university should be located at Holt Research Farm, Tromsø Museum or in Breivika. Breivika was the university’s last choice. In the end what weighed more heavily was the possibility of expansion and the political aim to create a vibrant environment on the northern part of Tromsø Island. Stortinget (the Norwegian National Assembly) made the decision supporting the local government’s wish for a shared campus in Breivika that would vitalize the northern part of Tromsø Island and facilitate expansion. Hjort and the interim board had devoted years of hard work and the decision left them with a feeling of defeat. Tromsø Museum found the decision “disastrous”. Although the struggle for location ended in defeat, it was soon obvious that the “loss” could open new possibilities and opportunities. The following Minister of Church Affairs and Education, Anton Skuldberg, expressed to Hjort after the defeat that “in my opinion, you have positioned yourself perfectly to be granted almost anything you wish for from the Department of Church Affairs and Education”. 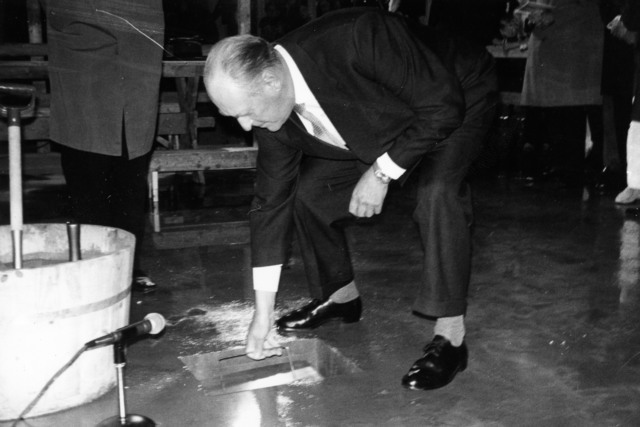 King Olav V lays down the foundation stone in the university’s first building in August 1971. Photo: Johan A. Bertheung. Tromsø Museum, the University Museum. The university’s first building, “Teoribygget”, was directly linked to the hospital in the Strandveien area, south of where Polaria is today. The building process started in 1971 and was marked with a ceremony where King Olav V laid down the Teoribygget foundation stone. With new employees starting to move to town, both working offices and residential housing had to be ready. The local government donated property for building residential houses and many employees started working in offices partitioned by screens and bookshelves. Everyone had great expectations for the university. In 1969 the Medical Faculty established a curriculum committee. This committee created the curriculum and planned how to offer courses and conduct research in temporary facilities. The committee members also commenced planning for the construction of the permanent complex for both the hospital and the Faculty of Medicine. Initially, they used the provisional facility below the hospital. In the first five years, the university was granted 200 scientific positions, and the researchers enjoyed generous budgets. The university was ready just in time to benefit from the expansion of the whole university sector in general on a national level. For several years, the University of Tromsø received 30 to 40 percent of the country’s new scientific positions. In time, however, the funding decreased. But “Teoribygget” in the center of Tromsø was used for 19 years before the new building for the Faculty of Medicine (MH) opened in 1991. The Sami language was one of the subjects prioritized by the interim board, however, they failed to find candidates for the top positions. 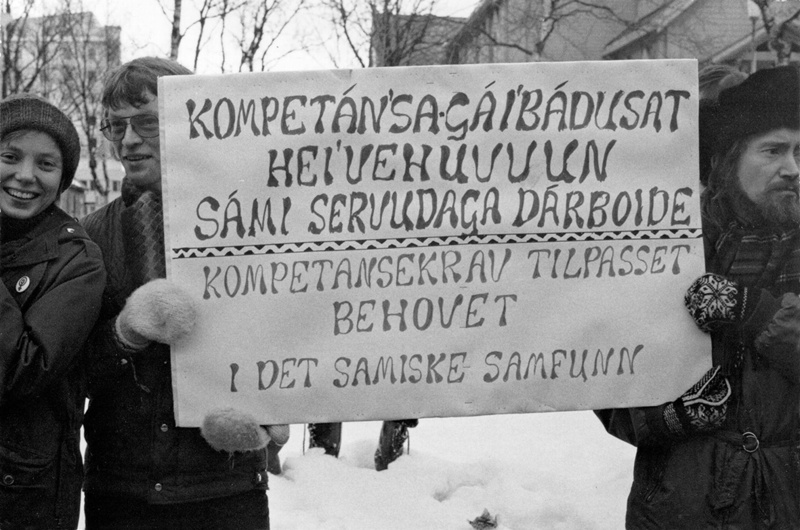 In 1975, the students demonstrated because they believed the Sami language courses offered by the university lacked quality. Photo: J. A. Kalstad. Tromsø Museum, the University Museum. The medical program was, without doubt, the most important to the interim board. They also stated that natural science and social science were important fields for the new university. These research communities developed quickly. The social sciences, especially, had good grounds for expanding. Extensive research was done into the local society and the unique challenges faced by the region, however, the social science’s placement within the medical studies was the most important. The board wished to create a medical program that was more socially oriented. In contrast to the success of the social sciences the language courses suffered. The philologists were not represented on the interim board and consequently had limited influence. Sami was one of the few languages that was prioritized. The problem was that they had nothing to build on. The university-level Sami language field was supposed to be developed by the university, however, they failed to find candidates for the top positions. In contrast, there was great activity in the field of humanities, greater than anticipated. For example, the Department of History had great success with their recruitments. The board also had to plan the medical program. The medical program’s curriculum was launched in 1971. It went under the name “the little half-red book” because of the colors on its covers. Even though the plan in no way represented Maoism, the nickname and the objective of the plan alluded to Mao’s Little Red Book, as the medical program was going to “serve the people”. Peter F. Hjort led the work that concretized the thoughts of a medical program rooted in the issues of community medicine. Hjort believed that doctors needed a warm heart and a clear head, a motto already held by many medical doctors. In the new program, the curriculum and the training were going to integrate with one another. The medical students would have patient contact, preferably from day one, there would be as few exams as possible and no grades. The plan was visionary, and the new employees who set out to develop this new approach to study were put to the test. Often, they were forced to prepare lectures late into the night. In 1971, the Northern Lights Observatory was incorporated into the university. 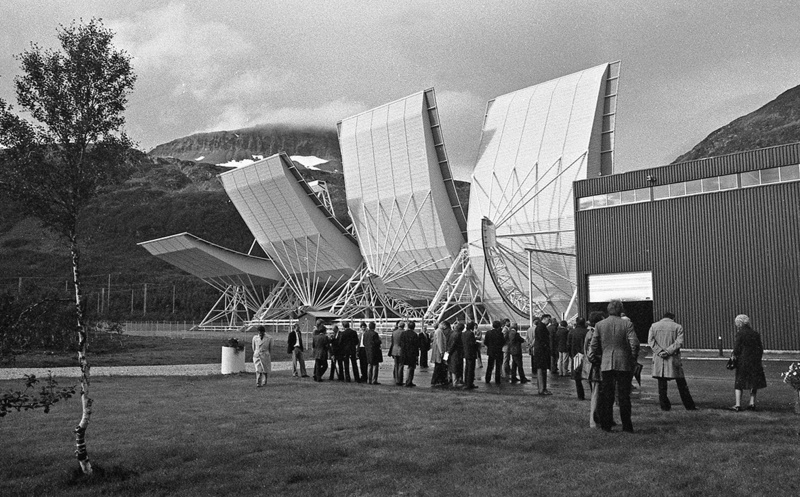 The field of physics had been explored in Tromsø for more than 70 years, and in the coming years, it would become one of the university’s top priorities. 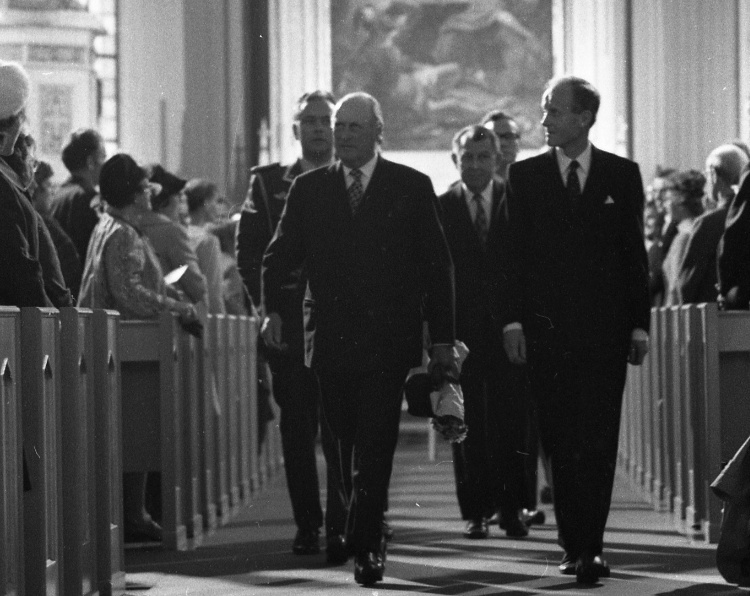 King Olav V opened the university in Tromsø Cathedral in the fall of 1972. At that time the university could only offer a limited number of courses and the Faculty of Medicine was not yet ready. The first year 420 students were admitted. This was a small group of pioneer-spirited and politically active people, who connected quickly in the university’s provisory solutions. In the first years, the university offered courses and conducted research in the city center and the students were soon part of the urban landscape. The students and the employees were quickly acquainted and would often have dinner together, usually at the lecturers’ home. 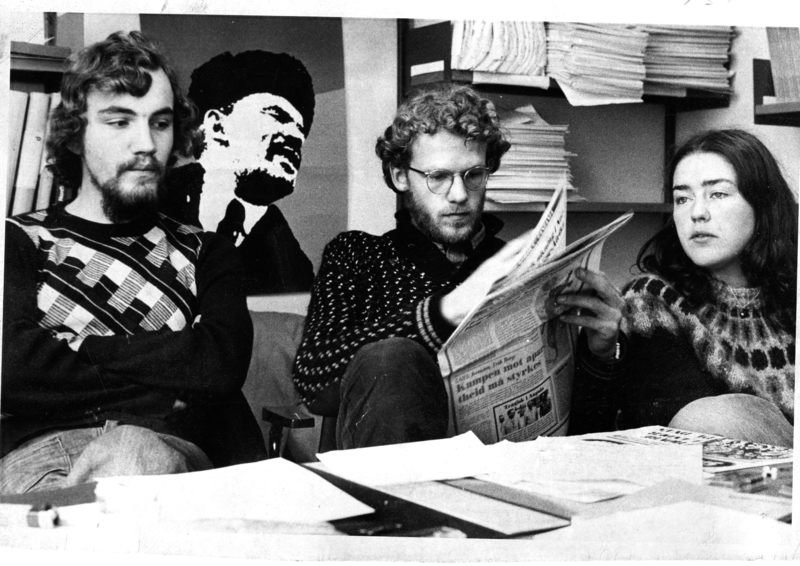 The extreme left-wing tendencies in higher education, and in the general society, got a foothold in Tromsø even before the students were admitted. The first students were quickly labeled “red” and radical since the Communist Labour Party (AKP) and the Socialist Left Party (SV) had great influence over the university in the early years. Although there were only a few “red” students, they managed to influence both academic courses and extracurricular activities. These first students were presented with an opportunity to influence the making of the institution by way of the democratic process of electing a headmaster and deciding the general direction of the university. The students wanted the university to be run by the one-man, one-vote principle. These first students could be described as “guines pigs”, but they were also privileged in that they enjoyed exerting their influence, were in close proximity to the university employees, and were able to contribute to the development of the academic and social structure of the university. The 40 medical students who started their education in the fall of 1973 were active participants in the development of Norway’s most progressive medical program. In line with the curriculum plan, “The Little Half-Red Book”, the students had early patient contact. Their studies focused on the society they were going to serve. The university was driven by idealism, and the same was true for its students. The medical students who arrived in Tromsø encountered a program radically different from any other. A pioneering spirit rested with the university’s students and employees. Although some students might have expressed concern regarding the manner in which the well-intending professors challenged them both academically and intellectually, the university offered lectures of high quality and monitored the student’s progress closely. And soon they were found serving the region’s hospitals and medical clinics. The photo on the left shows the building process of “Gjennomgangsbygget” in the 70s. The other photo shows the construction in 1991. Both photos: Tromsø Museum, the University Museum. “Gjennomgangsbygget” was the first building that opened in Breivika, south of “Tverrforbindelsen”. It was an interim facility that served students and researchers who the university could not find space for in the city center while they were waiting for the new, permanent structures that were still under construction in Breivika. The students and staff in “Gjennomgangsbygget” watched the construction from the orchestra seats. “Gjennomgangsbygget” was upgraded later, and is today called the Science Building (MNF). At this time the remainder of the students were in the city center together with the administration and remaining staff. 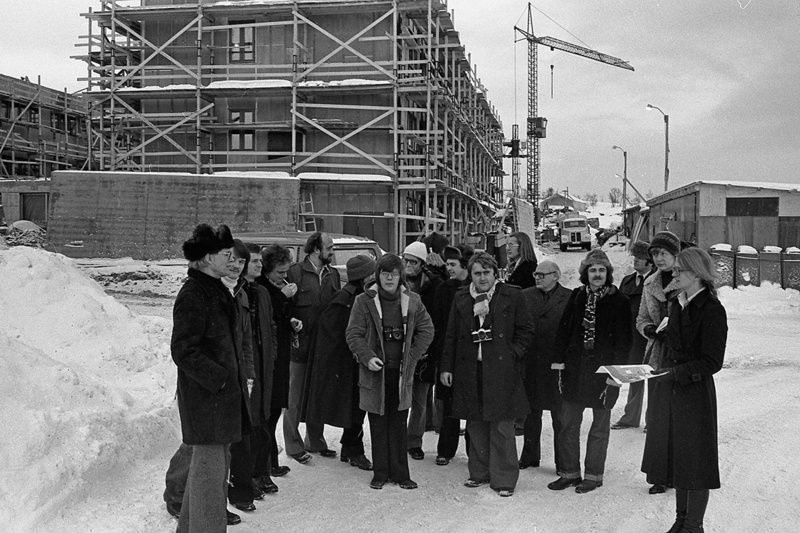 The construction in Breivika was conducted in stages and students and staff were moved from the city center to “Gjennomgangsbygget”, before they were finally placed in permanent facilities in Breivika. It was not until 2004 that the university completely moved out of the city center. The technical headquarters of the EISCAT facility in Ramfjordmoen, Tromsø. (Date unknown). Photo: Tromsø Museum, the University Museum. The studies of the upper atmosphere were strengthened when EISCAT was founded in 1975. EISCAT, the European Incoherent SCATter Scientific Association, measures the radiation from the electrons in the ionosphere and strives to understand how the atmosphere is impacted by both human behavior and the sun. 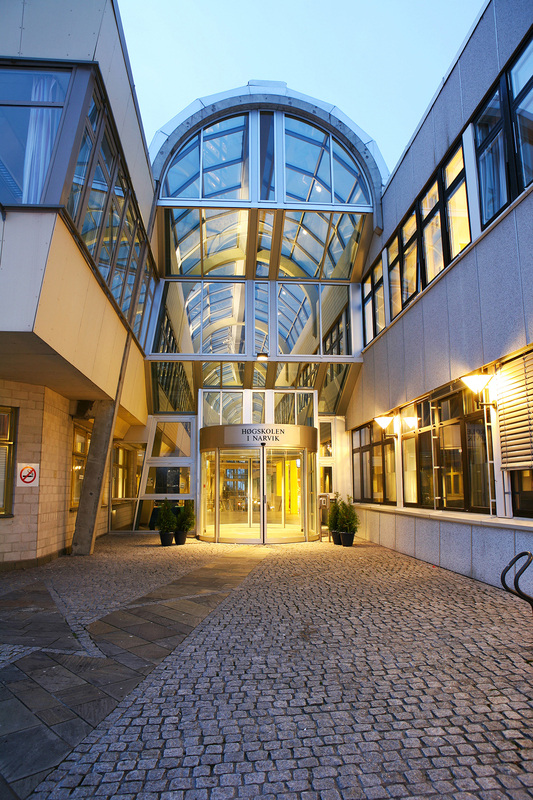 The scientific association has facilities in Norway, Finland, Sweden, Japan, China, Great Britain and Germany. All these countries contribute through their respective operations and research. UiT, the Arctic University of Norway, operate the facilities in Ranmfjordmoen and Svalbard. They have started building new facilities in Skibotn as well. These will be completed in 2021. Plasma physics and astrophysics are central to Tromsø, and the research environment is among the world’s leaders in these fields. This international work had its humble beginning in Kristian Birkeland’s research and measurements at Halddetoppen. Although Birkeland passed away years before the University of Tromsø was established, a part of the northern lights’ heritage has been transmitted through the institutions that are part of the university today. Thus, the university has its roots in the more than one hundred years of scientific activity in the region. Tromsø Museum became part of the university in 1976. This is from a zoological exhibition at the museum around 1910. Photo: Tromsø Museum, the University Museum. Tromsø Museum was founded in October 1872. After being an independent institution for over a century, it was incorporated into the university in 1976. The scientific activities at the museum were one of the underlying reasons for placing a Northern Norwegian university in Tromsø. 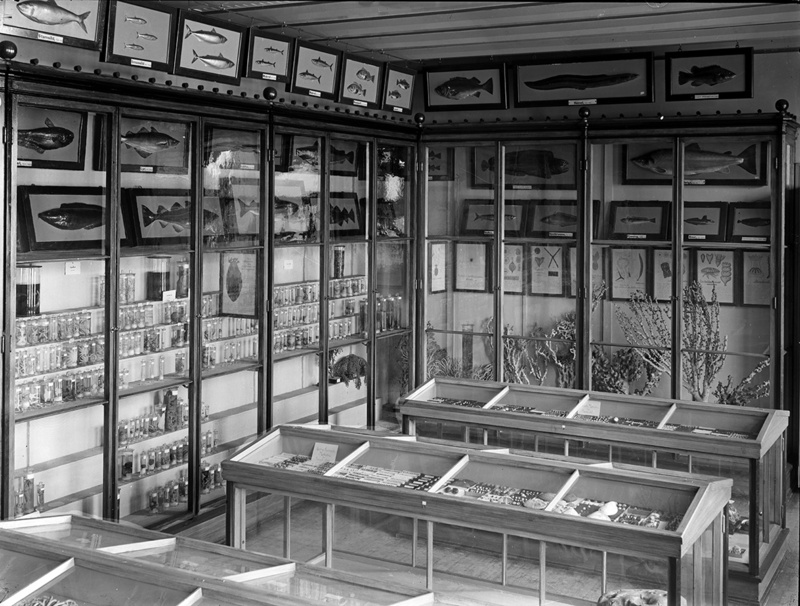 The museum originally exhibited collections of items, and information regarding these, from 19th century Troms. After starting out in the city center, Tromsø Museum relocated to the south of the island in 1961. However, in 2016, it was decided that the museum would be moving for a third time, back to the city center, to the site of the present-day Mack Brewery. The new building will be ready in 2025. Tromsø Museum receives almost 200.000 visitors annually. The museum’s exhibitions include history, Sami culture, natural science, polar research and biology. The University of Tromsø was quickly labeled “the Red University”. 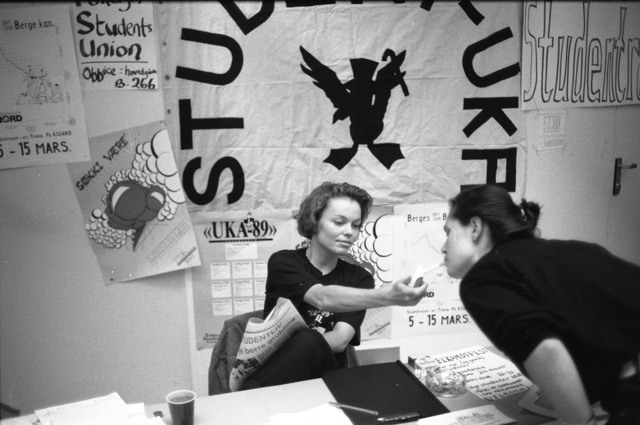 Student groups adhering to left-wing political parties dominated the student society and the student politics throughout the 1970’s. The primary student forum for the formulation of political direction was a common meeting for all students. The turnout varied from a few dozen to several hundred students. 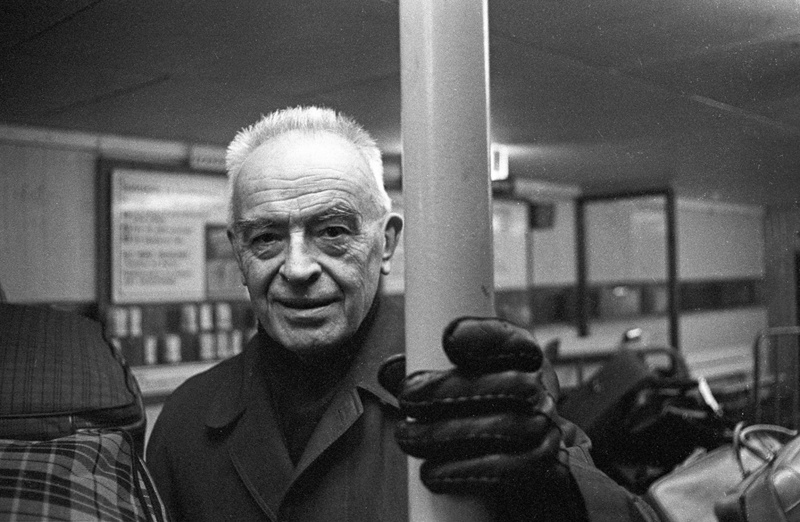 However, the philosophies of the dominant left-wing groups were rigid and their differences proved irreconcilable. 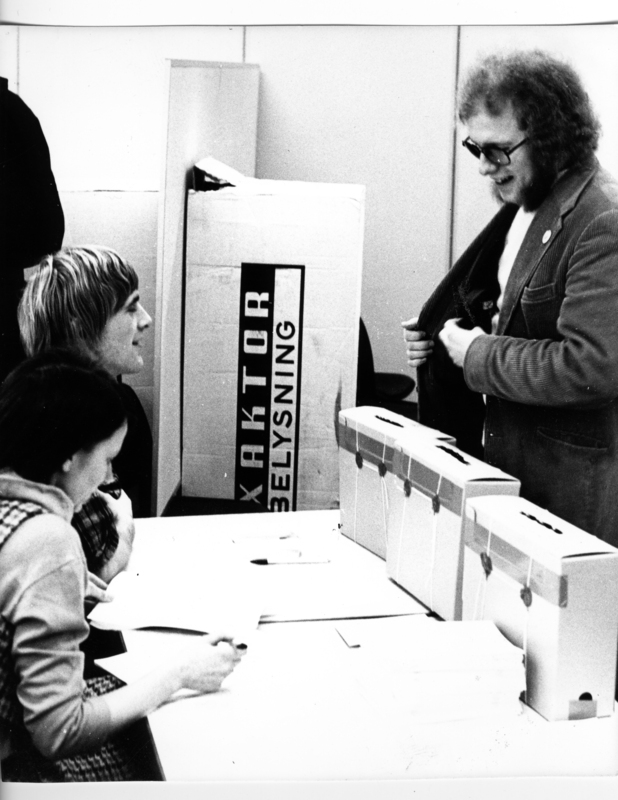 The photo shows a group of independent socialists and students aligned with the Socialist Left Party (SV), who had just won the student elections after a period of Marxist-Leninist (M-L) majority. Here, they are seated in front of the predecessor’s political posters. Many of the Marxist-Leninist students “proletarianized” during this period as part of an attempt to give the Worker’s Communist Party (AKP) foothold in workplaces and trade unions. The M-L movement suffered serious setbacks with Mao’s passing and the Gang of Four’s subsequent downfall in China in 1977. In that same year, the SV suffered a defeat during elections. Professor of Social Science, Nils Aarsæther, claimed he could notice a marked difference in his lectures the day after Mao passed away because the students stopped asking critical questions. From a press seminar, February 1978. In the background is the Science Building under construction in Breivika. It was completed and moved into the same year. Photo: Tromsø Museum, the University Museum. 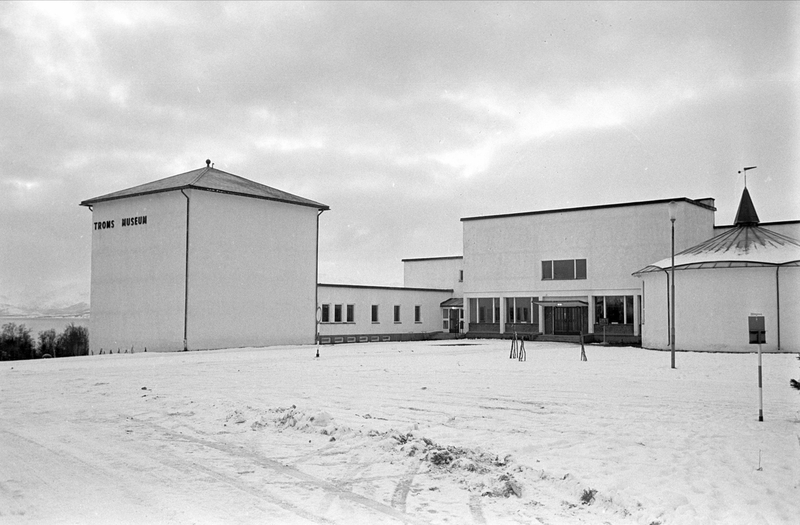 Notwithstanding the “Gjennomgangsbygget” facility, the Science Building was the first permanent building to be completed in Breivika. It was built in the characteristic UiT-style, with brick and metal. The Faculty of Mathematics and Natural Science moved from “Gjennomgangsbygget” into its permanent location in the Science Building. The construction in Breivika was organized in stages. The campus was divided into blocks, and each field of science received its own area. The science block was the first, followed by the library, the Faculty of Social Science and the Faculty of Medicine each receiving their respective blocks. This division is still visible today, as the roads, etc., embrace the original structure. The university library opened in 1981. The building included the main library and the research library for humanities and social sciences. Its rectangular shape fits into the strict construction lines of the university blocks. The library was designed in brick and metal, like the Science Building. Two years later the buildings for social science and humanities were completed. These were attached to the library through underground corridors that included reading areas. With the completion of the library and the Science, Humanities and Social Science buildings, as well as the activity in “Gjennomgangsbygget”, most of the university’s activities, students and staff members had moved to Breivika. It only remained to move the Faculty of Medicine and the hospital out from the city center. A lot of land in Breivika was appropriated for the university’s expansion, not only for the Faculty of Medicine and the hospital but for other new fields of science as well, so they could move right into facilities at the university. Harstad College was established August 1st, 1983. It offered courses in pedagogy, social education, nursing, business administration and social sciences. On January 1st, 1983, the College merged with UiT, the Arctic University of Norway. 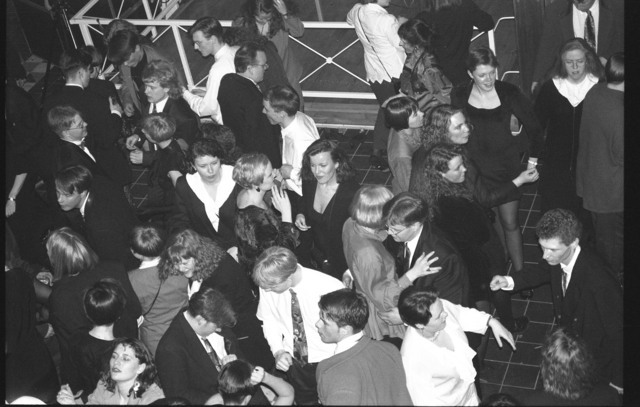 In 1989, Tromsø’s first Student Week was arranged. That was back in the days when one could still light up a cigarette everywhere. Photo: Aase Wynn. Tromsø Museum, the University Museum. In 1982 the students arranged a revue, with great success. With the experience they gathered from this event, the students organized and staged Tromsø’s first student week in the fall of 1983. The majority of «The Week» was hosted at a Student Centre, and events were broadcast on the student radio station. That year marked the beginning of a variety of self-organized extracurricular activities. The first Student Centre was in the Skippergata area, where the present courthouse is today. When the building was sold in 2000, the Student Centre moved down to the harbor near Kystens Hus. “Driv Student Centre” remained there for thirteen years before they merged with the Student Society and relocated to the Mack Brewery’s old premises in 2014, under the name “Driv Student Society”. 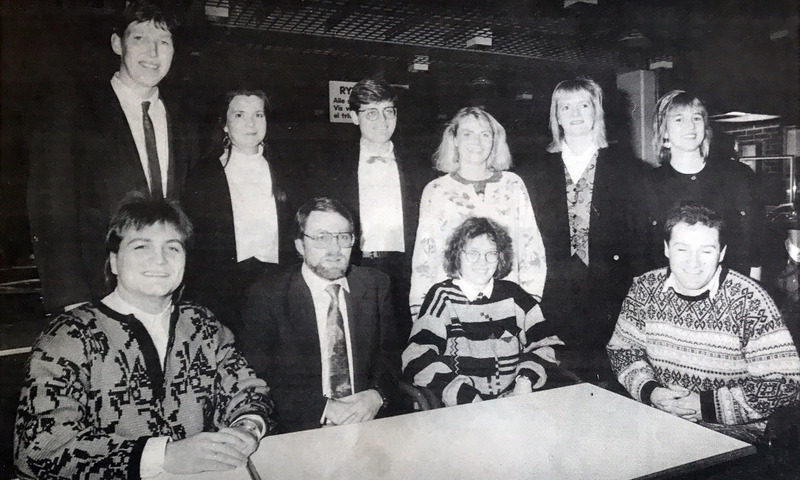 Throughout the years, the students have kept busy with a multitude of extracurricular activities, such as Student Week, Debut Week, the Student Society, radio, choir and marching band, to mention a few. The Department of Fishery Science offered students preliminary courses in law as early as 1984 in Tromsø. The law studies expanded and, in 1987, a separate department for law studies was founded as an independent section of the university. In 1997 the Faculty of Law was established, with ocean and environmental law and indigenous law as priority areas of study. These are still the priority areas of the faculty today. The faculty aligns its legal curriculum with many of the university’s areas of expertise. The regional state archives in Tromsø were placed under the regional state archives in Trondheim until 1987, when separate archives were established in Tromsø and moved into facilities in Breivika in 1998. The archives are found in the basement areas below the reading area and House 2. of the Non-experimental Science Building. The archives under House 2. were built in 2004. The regional state archive’s oldest documents date back as far as the 16th century. The archives carry an invaluable role as a cultural bearer, and the collections are continually used as research material by the university. The archives contain official documents as well as private archives. The archives are regularly used by local historians and genealogists. In 1988 the fish farming industry introduced the Hitra-vaccine, which was derived from the university’s fishery research. The research community in Tromsø developed this vaccine to prevent farmed salmon from dying of cold-water vibriosis. A research team of immunologists, microbiologists and medical scientists developed the vaccine, so the fish farming industry could ensure the health of the fish. As a result of the Hitra-vaccine, the use of antibiotics in the Norwegian salmon farming industry was virtually eliminated. The vaccine is just one example of collaboration between the university and society, where research and industry join together to solve specific challenges. Lytix Biopharma, Prophylix Pharma, Olivita and D`Liver are examples of companies that were established with knowledge derived from the university’s research. The establishment of a fishery science program had been planned for Tromsø for some time, however, it underwent several organizational changes before a final model was developed. At first, fishery science studies were offered in a collaboration between the Department of Biology and Geology and the Department of Social Sciences. In 1976, a separate Department of Fishery Science was founded. The department was under the umbrella organization the Norwegian College of Fishery Science, together with the University of Bergen, the University of Trondheim and the Norwegian School of Economics. In 1983, Stortinget (the Norwegian National Assembly) wanted the Norwegian College of Fishery Science to be a separate entity under the University of Tromsø. This was finalized in 1988. Aquaculture science and aqua medicine are two of the subjects that were developed in the late 1980s and helped move the national core of fishery and marine biology research to Tromsø. The connections between the university and fishery companies have benefited the aquaculture industry in general, and especially the fish farming industry. Originally, the medical studies and the hospital were meant to share one large building. However, the multitude of users, building companies, budgets, and departments made the process very complex, and the original plan failed. Therefore, the construction of the medical building went slower than anticipated. The aim was to gather all the activity in Breivika, and the construction of the Medicine and Health Studies Building (MH building) started in 1988. The building was completed in 1991 and was, at that time, the largest building on the university complex. It was also the largest university building in Norway. 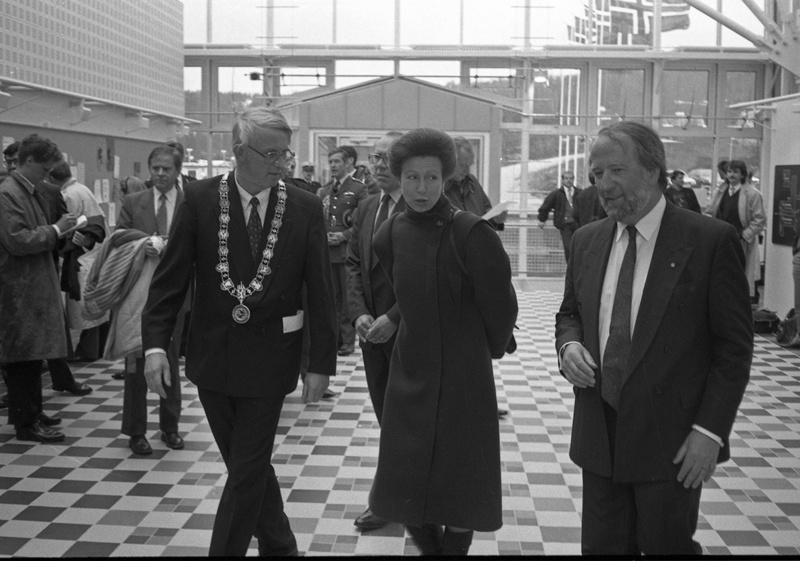 Princess Anne ensured a ceremonial opening of the building. With the completion of the MH building and the University Hospital of Northern Norway (UNN), most of the students and research were centered in Breivika. With two of Tromsø’s biggest employers moving their operations and employees there, it helped centralize the area. In 1993, the university’s 25th anniversary was duly celebrated by students and staff in Breivika. Photo: Aase Wynn. Tromsø Museum, the University Museum. In 1993 the university celebrated the passing of 25 years since Stortinget (The Norwegian National Assembly) had approved its establishment. The royal couple was present during the celebrations and they emphasized how the university had fulfilled its mandate and responsibilities to the benefit of the region’s citizens. The King pointed out that the medical program had proved itself useful for Northern Norway’s health services. In 1994 several Norwegian colleges merged as a result of national college reform. One of the 24 national colleges in Norway was Tromsø College, which was established in that same year. The College offered programs in music, dance, drama, health care, teaching, engineering and business management. 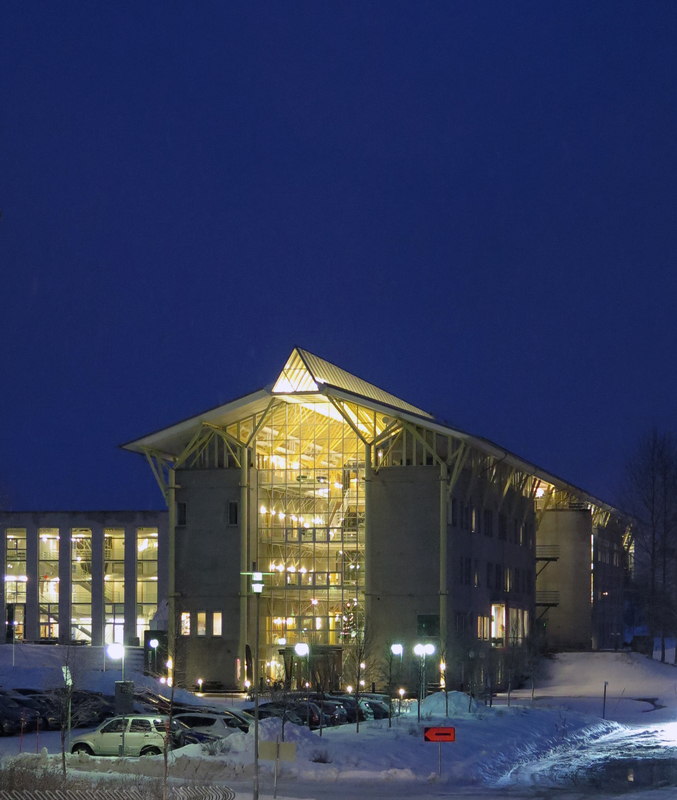 On January 1st, 2009, Tromsø College merged with the city’s university. Finnmark College was also established in 1994 as a result of the merging of Finnmark College of Nursing, Finnmark Regional College, and Alta Teacher’s College. In 2013 the college merged again, this time with the University of Tromsø. The new institution was named UiT, the Arctic University of Norway. Narvik College, as well, saw the light of day following the national college reform in 1994. The college was a result of the merging of Narvik College of Engineering, Narvik College of Civil Engineering and Nordland College of Nursing’s department in Narvik. On January 1st, 2016 Narvik College merged with UiT. In addition to a lack of medical doctors, there was also a lack of pharmacists in Northern Norway. It was therefore desirable that the university offered pharmacy training. Originally, the Church and Education Committee planned to increase the number of pharmacy students at the already existing educational institutions in Norway. However, when they realized that 80 percent of the medical doctors who graduated from UiT remained in Northern Norway, the committee was convinced that a separate programme for pharmacy had to be established in Tromsø. In its first year 20 students were admitted and by 2016 the number of students had increased to 230. In 1998, the pharmacy students moved into a separate building between the Faculty of Science and the Faculty of Medicine. The Pharmacy Building was constructed in a similar style to most of the other university buildings, but design latitude was granted for some of the distinctive individualities of “the trade” during the building process. The auditorium “Tabletten” (“The Pill”), was unique with its characteristic shape; an example of architectural freedom. The Norwegian College of Fishery Science (NFH) received its own building in 1995. The building was inspired by Northern Norwegian coastal culture, especially by the “notehjelle”, which is a large building structure used for drying fishing nets. The architects used the “notehjelle” on the dock in Foldvik, in Gratangen, as a basis for the new building. The architecture was going to evoke an association to the industry studied at the NFH, and at the same time promote business in, and create bonding to, the coastal culture. The NFH building stands out from the rest of the architecture in Breivika, because brick and metal are not used as important building components. Until 1997 the university was divided into departments. However, that year, the Department of Church Affairs and Education decided to change several departments into faculties, as prompted by the university. In terms of size and responsibility, the departments had been similar to the faculties of other Norwegian universities. Therefore, the structural change was merely seen as a change of titles. Six faculties were established, including the Norwegian College of Fishery Science. This gave the university three levels: administration; faculties; and departments; which were similar in structure to the other Norwegian universities. An earlier Headmaster, Ole Danbolt Mjøs, from Tromsø, led the research “Freedom with Responsibility -Higher Education and Research in Norway” in 2000. His committee argued that a new ranking structure, congruent with the standards established in accordance with the Bologna Process, with bachelor and master degrees, should replace the existing system of elementary, intermediate and major studies. The committee also argued to move to a credit system with the accumulation of credits being a basis for financing. They also advocated for colleges becoming universities more easily. The national quality reform built on the Mjøs committee’s research and made it easier for Northern Norwegian colleges and universities to merge. The Non-Experimental Science Building is an important and large building in Breivika. It was ready in 2004. Photo: UiT, the Arctic University of Norway. The Non-Experimental Science Building 1-6 was completed in 2004, offering lecture rooms and offices for the faculties of social sciences, humanities, law and psychology. In addition, the Student Welfare Association received offices in building 2, together with the Centre for Sami Studies and the student organizations. The non-experimental science canteen and auditorium 1 and 2 are located within building 1. With its 40 000 square meters it is the largest building on campus. It fits in architecturally with its surrounding buildings of brick and metal. King Harald V conducted the official opening ceremony on February 9th, 2005. The university had pushed for an odontology program from the very beginning and in 2002 Stortinget (the Norwegian National Assembly) finally decided to establish one in Tromsø. The purpose was to increase the number of dentists in Northern Norway. The arguments for establishing this program were the same as for the medical program in the 1970’s, as were the counter-arguments. The program aimed to increase the number of dentists and specialists nationally. In 2004 12 students were admitted to the program, of which eleven were from Northern Norway. The class was welcomed by Minister of Education and Research, Kristin Clemet. Similar to the medical program, the odontology program in Tromsø focuses on early patient contact, patient-oriented clinical learning and external clinical service. Tromsø University College merged with the university in 2009. Photo: Thoralf Fagertun / UiT, the Arctic University of Norway. Tromsø College was founded in 1994, but its historical roots went back to 1827 when Trondernes Teacher’s College was established. In 2009 the school merged with the University of Tromsø. The purpose of the merger was to improve education and research by joining classical university subjects with the colleges’ vocational studies. This would improve the education for the region’s young people and lead to new and innovative research. For example, all medical and nursing studies were grouped together, as were business and marketing studies. Teacher’s training for primary and secondary school were grouped under the same department, and natural science, technology and engineering were joined under one faculty. The merging with Finnmark College in 2013 strengthened the university’s focus on the northern areas. That year the university changed its name to the University of Tromsø, the Arctic University of Norway. 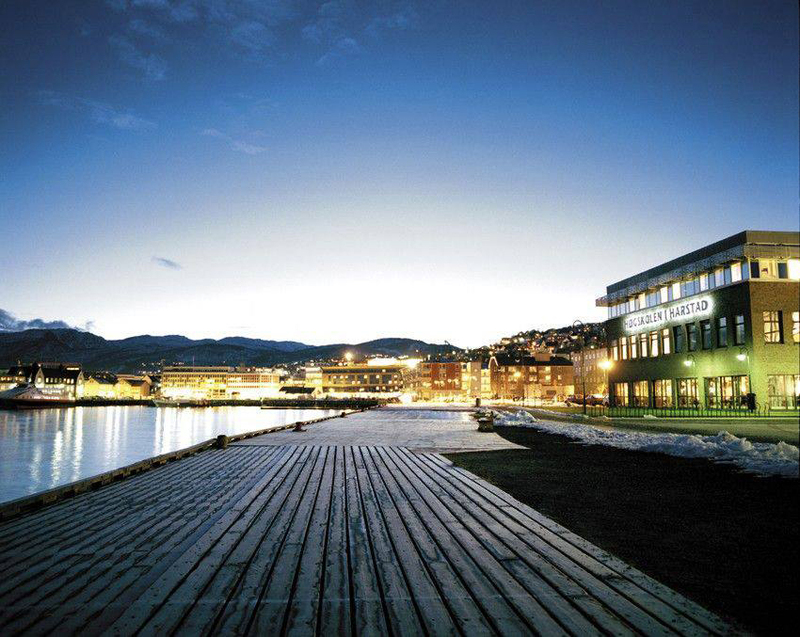 In addition to the Tromsø location, the university also offered studies in Alta, Kirkenes and Hammerfest. Tourism, hotel and catering and media were some of the new subjects the university could offer. Alta Teacher’s College was founded in 1972, and Alta Nursing School, which had been educating nurses since before World War II became a college in 1981. Chairman of UiT’s interim board, Peter F. Hjort, helped establish Alta Regional College to make the university’s courses more adaptable to the regional college. Presently, Alta has one of the leading distance learning programmes for teacher’s training. This has offered Northern Norwegian citizens access to further education and continuing professional development, as well as pedagogical studies. Report to Stortinget (white paper) nr.18 emphasized the university’s merges; funding for higher education should be granted to fewer and stronger institutions. The Government gave notice that more colleges would merge with universities, and more colleges would merge with each other. The report made it easier for colleges to be accredited as universities and facilitated further collaboration between the educational institutes in Northern Norway. In the report, the Government gave the green light for further conversations between the colleges in Harstad and Narvik and UiT, the Arctic University of Norway. Harstad College had been an independent institution since 1983. The Colleges in Harstad and Narvik merged with the university in 2016. The purpose was to strengthen the non-experimental science programs and the health and welfare programs at UiT. Now the university offered an even wider range of courses to the entire region. Through the merge, UiT became the country’s third-largest university in terms of student numbers, with its approximately 16,000 students. Narvik College of Technology was established in 1955, however, its roots went back to 1905 and the polytechnic school. As part of a national modernization plan technology training was emphasized in the post-war period. Nursing training had existed in Narvik from the beginning of the 20th century, and in 1912 Narvik became the first city in Northern Norway to have a tuberculosis care center.